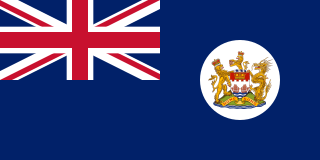 The Governor of Hong Kong was the representative in Hong Kong of the British Crown from 1843 to 1997. In this capacity, the governor was president of the Executive Council and Commander-in-Chief of the British Forces Overseas Hong Kong. The governor's roles were defined in the Hong Kong Letters Patent and Royal Instructions. Upon the end of British rule and the transfer of Hong Kong to the People's Republic of China in 1997, most of the civil functions of this office went to the Chief Executive of Hong Kong, and military functions went to the Commander of the People's Liberation Army Hong Kong Garrison. Sir Mark Aitchison Young was a British administrator who became the Governor of Hong Kong during the years immediately before and after the Japanese occupation of the territory. The United States also supported China in its fight against Imperial Japan's invasion. It imposed a 100% embargo on the sale of oil to Japan after less aggressive forms of economic sanctions failed to halt Japanese advances. On 7 December 1941 (Honolulu time), Japan suddenly launched a broad offensive across the Pacific and Southeast Asia including attacking the U.S. naval base at Pearl Harbor and American-ruled Philippines, and invading Thailand and invading British Malaya. The Canadian Army is the command responsible for the operational readiness of the conventional ground forces of the Canadian Armed Forces. As of 2018 the Army has 23,000 regular soldiers, about 17,000 reserve soldiers, including 5,000 rangers, for a total of 40,000 soldiers. The Army is supported by 3,000 civilian employees. It maintains regular forces units at bases across Canada, and is also responsible for the Army Reserve, the largest component of the Primary Reserve. The Commander of the Canadian Army and Chief of the Army Staff is Lieutenant-General Jean-Marc Lanthier. 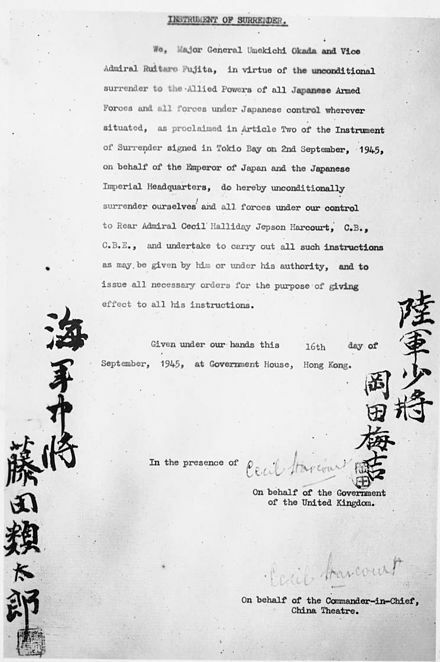 The capitulation of Hong Kong was signed on the 26th at The Peninsula Hotel. 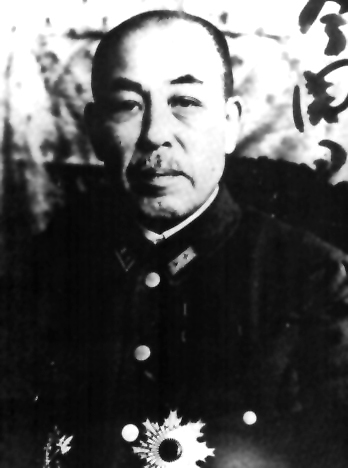 On 20 February 1942 General Rensuke Isogai became the first Imperial Japanese governor of Hong Kong. Just before the British surrendered, drunken Imperial Japanese soldiers entered St. Stephen's College, which was being used as a hospital. The Imperial Japanese then confronted two volunteer doctors and shot both of them when entry was refused. They then burst into the wards and attacked all of the wounded soldiers and medical staff who were incapable of hiding in what was known as the St. Stephen's College incident. This ushered in almost four years of Imperial Japanese administration. 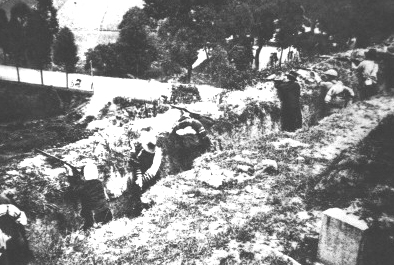 Throughout the Imperial Japanese occupation, Hong Kong was ruled as a detained terrain[ clarification needed ] and was subjected to martial law. Headed by General Rensuke Isogai, the Imperial Japanese established their administration and commanding post at the Peninsula Hotel in Kowloon. The military government, composed of the departments of politics, civilian, economy, judiciary, and navy, enacted stringent regulations and established executive bureaus to have power over all residents of Hong Kong. They also set up the puppet Chinese Representative Council and Chinese Cooperative Council consisting of local leading Chinese and Eurasian community leaders. On top of Governor Mark Young, 7,000 British soldiers and civilians were kept in prisoner-of-war or internment camps, such as Sham Shui Po Prisoner Camp and Stanley Internment Camp. Famine, malnourishment and sickness were pervasive. Severe cases of malnutrition among inmates occurred in the Stanley Internment Camp in 1945. 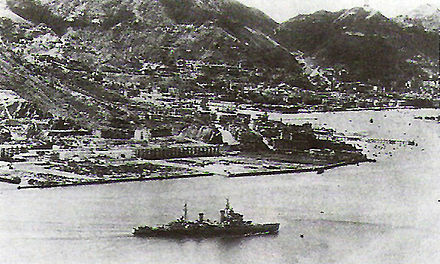 Moreover, the Imperial Japanese military government blockaded Victoria Harbour and controlled warehouses. Life was hard for people under Japanese rule. As there was inadequate food supply, the Japanese rationed necessities such as rice, oil, flour, salt and sugar. Each family was given a rationing licence, and every person could only buy 6.4 taels (240 g (8.5 oz)), of rice per day. Most people did not have enough food to eat, and many died of starvation. The rationing system was cancelled in 1944. During the occupation, hospitals available to the masses were limited. 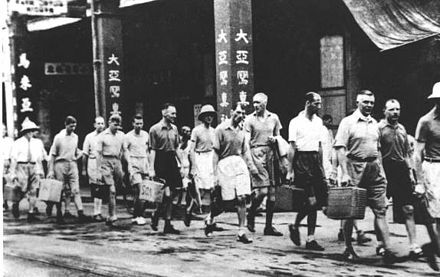 The Kowloon Hospital and Queen Mary Hospital were occupied by the Japanese army. Despite the lack of medicine and funds, the Tung Wah and Kwong Wah Hospital continued their social services but to a limited scale. These included provision of food, medicine, clothing, and burial services. Although funds were provided, they still had great financial difficulties. Failure to collect rents and the high reparation costs forced them to promote fundraising activities like musical performances and dramas. Tung Wah hospital and the charitable organisation Po Leung Kuk continued to provide charity relief, while substantial donations were given by members of the Chinese elite. Po Leung Kuk also took in orphans, but were faced with financial problems during the occupation, as their bank deposits could not be withdrawn under Japanese control. Their services could only be continued through donations by Aw Boon Haw, a long-term financier of Po Leung Kuk. It was the Japanese conviction that education was an imperative means in infusing Japanese influence. 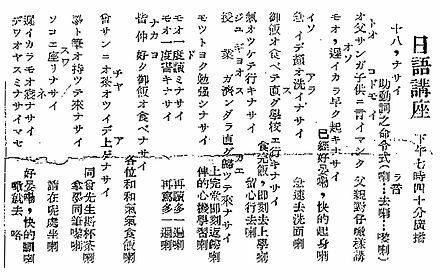 Teaching of the Japanese language was obligatory, and students who received bad results in Japanese exams risked corporal punishment. According to a testimonial, English could not be taught nor was it tolerated outside the classroom. [ better source needed ] Some private Japanese language schools were established to promote oral Japanese. The Military Administration ran the Teachers' Training Course, and those teachers who failed a Japanese bench-mark test would need to take a three-month training course. The Japanese authorities tried to introduce Japanese traditions and customs to Hong Kong students through the Japanese lessons at school. Famous historical stories such as Mōri Motonari's "Sanbon no ya (Three Arrows)" and Xufu’s (徐福) voyage to Japan were introduced in Japanese language textbooks. The primary aims of this Japanisation of the education system were mainly to facilitate the Japanese control over the local people and to establish the Greater East Asia Co-prosperity Sphere. Therefore, what it was trying to create was a rush to learn Japanese. 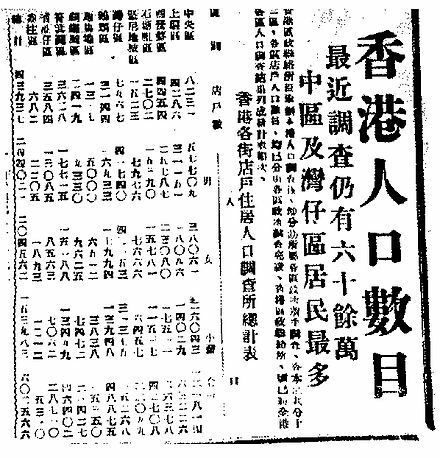 The Hong Kong News , a pre-war Japanese-owned English newspaper, was revived in January 1942 during the Japanese occupation. The editor, E.G. Ogura, was Japanese and the staff members were mainly Chinese and Portuguese who previously worked for the South China Morning Post . It became the mouthpiece of the Japanese propaganda. 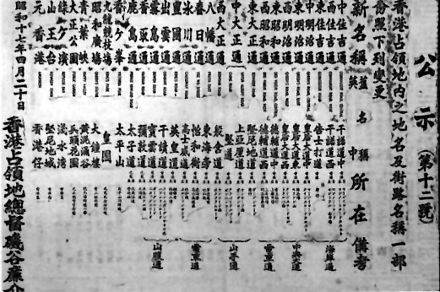 Ten local Chinese newspapers had been reduced to five in May. These newspapers were under press censorship. Radio sets were used for Japanese propaganda. Amusements still existed, though only for those who could afford them. The cinemas only screened Japanese films, such as The Battle of Hong Kong , the only film made in Hong Kong during the Japanese occupation. Directed by Shigeo Tanaka (田中重雄 Tanaka Shigeo) and produced by the Dai Nippon Film Company, the film featured an all-Japanese cast but a few Hong Kong film personalities were also involved. This film appeared on the first anniversary of the attack. The Japanese occupation of Hong Kong ended in 1945, after the United States dropped an atomic bomb on Hiroshima on 6 August 1945. Another one was dropped on Nagasaki three days later, on the same day that the USSR began its Manchurian Strategic Offensive Operation, which crippled the last grand Japanese army in China. Japan finally surrendered on 15 August 1945. 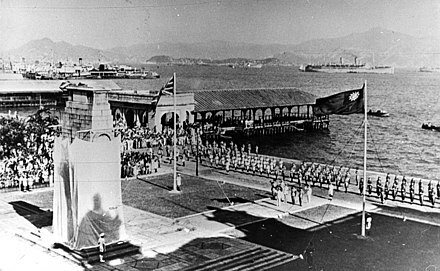 Hong Kong was handed over by the Imperial Japanese Army to the Royal Navy on 30 August 1945; British control over Hong Kong was thus restored. 30 August was declared as "Liberation Day" (Chinese: 重光紀念日), and was a public holiday in Hong Kong until 1997. Hong Kong's post-war recovery was astonishingly swift. By November 1945, the economy had recovered so well that government controls were lifted and free markets restored. The population returned to around one million by early 1946 due to immigration from China. Colonial taboos also broke down in the post-war years as European colonial powers realised that they could not administer their colonies as they did before the war. Chinese people were no longer restricted from certain beaches, or from living on Victoria Peak. Statue Square is a public pedestrian square in Central, Hong Kong. Built entirely on reclaimed land at the end of the 19th century, Statue Square consists of two parts separated by Chater Road into a northern and a southern section. It is bordered by Connaught Road Central in the north and by Des Voeux Road Central in the south. The History of Hong Kong, a business port located off the south-east coast of China. Archaeological findings suggest that the region has been inhabited since the Old Stone Age, and later with its loose incorporation into the Chinese empire during the Qin dynasty. Starting out as a farming fishing village and salt production site, Hong Kong later evolved into an important free port and eventually a major international financial centre. The Battle of Hong Kong, also known as the Defence of Hong Kong and the Fall of Hong Kong, was one of the first battles of the Pacific War in World War II. On the same morning as the attack on Pearl Harbor, forces of the Empire of Japan attacked the British Crown colony of Hong Kong. 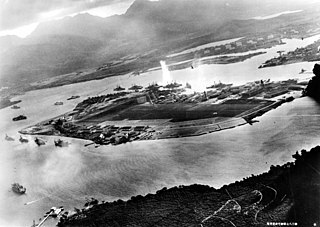 The attack was in violation of international law as Japan had not declared war against the British Empire. 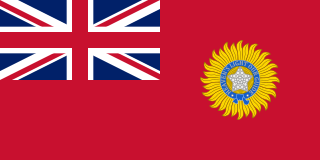 The Hong Kong garrison consisted of British, Indian and Canadian units besides Chinese soldiers and conscripts from both within and outside Hong Kong. Japanese military yen, commonly abbreviated as JMY, was the currency issued to the soldiers of the Imperial Japanese Army and the Imperial Japanese Navy as a salary. The Imperial Japanese government first started issuing the military yen during the Russo-Japanese War in 1904. The military yen reached its peak during the Pacific War period, when the Japanese government excessively issued it to all of its occupied territories. In Hong Kong, the military yen was forced upon the local population as the sole official currency of the territory. Since the military yen was not backed by gold, and did not have a specific place of issuance, the military yen could not be exchanged for the Japanese yen. Forcing local populations to use the military yen officially was one of the ways the Japanese government could dominate the local economies. Hong Kong has a long-established South Asian population. As of the 2016 by-census, there were at least 44,744 persons of South Asian descent in Hong Kong. Many trace their roots in Hong Kong as far back as when most of the Indian subcontinent was still under British colonial rule, and as a legacy of the British Empire, their nationality issues remain largely unsettled. However, recently an increasing number of them have acquired Chinese nationality. Sai Wan War Cemetery is a military cemetery located in Chai Wan, Hong Kong which was built in 1946. The cemetery was created to commemorate soldiers of Hong Kong Garrison who perished during both the First World War and the Second World War. According to the Commonwealth War Graves Commission (CWGC), the commemorative graves/plaques of 914 soldiers from Undivided India are grouped in 3 memorial locations within the Sai Wan cemetery complex : 104 Indian soldiers whose tombstones are located on the slopes of Sai Wan Cemetery, 287 more Indian soldiers interred at Sai Wan Memorial while a further 118 Indian soldiers whose remains were cremated according to their religious customs are inscribed on commemorative plaques at the Sai Wan Cremation Memorial. The Sai Wan War Cemetery contains the graves of 228 Canadians. North Point Camp was a Japanese World War II Prisoner-of-war camp in North Point, Hong Kong which primarily held Canadian and Royal Naval prisoners. Stanley Internment Camp was a civilian internment camp in Hong Kong during the Second World War. Located in Stanley, on the southern end of Hong Kong Island, it was used by the Japanese imperial forces to hold non-Chinese enemy nationals after their victory in the Battle of Hong Kong, a battle in the Pacific campaign of the Second World War. About 2,800 men, women, and children were held at the non-segregated camp for 44 months from early January 1942 to August 1945 when Japanese forces surrendered. The camp area consisted of St Stephen's College and the grounds of Stanley Prison, excluding the prison itself. The one-cent banknote was the smallest denominated banknote issued in Hong Kong. They were issued by the government and were initially released on 30 May 1941 and printed by Noronha and Company Limited to provide small change because of a lack of coinage brought on by the second world war. The first issue was 42 by 75 mm, the obverse was brown with a serial number of seven numbers with either no prefix or an A or B prefix. This side was mostly in English, except for "Government of Hong Kong" which was also in Chinese. The reverse was red and the denomination in English and Chinese. After the Japanese take over of Hong Kong the issue was replaced by the Japanese Military Yen. The St. Stephen's College massacre involved a series of acts of extreme cruelty committed by the Imperial Japanese Army on 25 December 1941 during the Japanese occupation of Hong Kong at St. Stephen's College. The former Kowloon Magistracy is a historic building and former Magistrate's and District Court in Hong Kong, located at No. 38 Gascoigne Road, Yau Ma Tei, Kowloon. Argyle Street Camp was a Japanese World War II Prisoner-of-war camp in Kowloon, Hong Kong, which primarily held officer prisoners. Built by the Hong Kong government as a refugee camp before the war as North Point POW Camp, it began life as a POW camp soon after Kowlon and the New Territories were abandoned to the Japanese. The Chinese Representative Council (華民代表會) was a council consisting of leading local Chinese and Eurasian community leaders by Japan during the Japanese occupation of Hong Kong. 1 2 Fung, Chi Ming. (2005). Reluctant heroes: rickshaw pullers in Hong Kong and Canton, 1874–1954. Hong Kong University Press. ISBN 962-209-734-0, ISBN 978-962-209-734-6. p.130, 135. 1 2 3 4 5 6 7 8 9 10 11 12 13 14 Courtauld, Caroline. Holdsworth, May. (1997). The Hong Kong Story. Oxford University Press. ISBN 0-19-590353-6. pp. 54–58. ↑ Stanford, David. (2006). Roses in December. Lulu press. ISBN 1-84753-966-1. ↑ Chan, Shun-hing. Leung, Beatrice. (2003). Changing Church and State Relations in Hong Kong, 1950–2000. Hong Kong: HK university press. p. 24. ISBN 962-209-612-3. 1 2 3 4 5 6 7 Snow, Philip. (2004). The fall of Hong Kong: Britain, China and the Japanese occupation. Yale University Press. ISBN 0-300-10373-5, ISBN 978-0-300-10373-1. 1 2 3 Mark, Chi-Kwan. (2004). Hong Kong and the Cold War: Anglo-American relations 1949–1957. Oxford University Press publishing. ISBN 0-19-927370-7, ISBN 978-0-19-927370-6. p 14. ↑ "War in China". Time. 6 March 1939. Retrieved 1 April 2015. ↑ Cornelia Schmitz-Berning (2007). 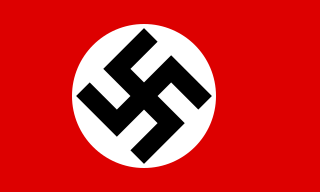 Vokabular des Nationalsozialismus (in German). Berlin: De Gruyter. p. 745. ISBN 978-3-11-019549-1. ↑ Rees, Laurence (2010). 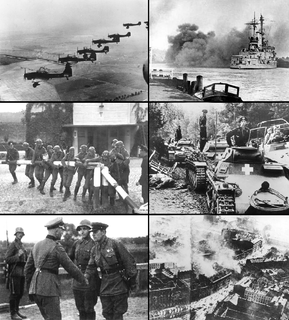 "What Was the Turning Point of World War II?". HISTORYNET. Retrieved 8 July 2017. ↑ Combs, Jerald A. 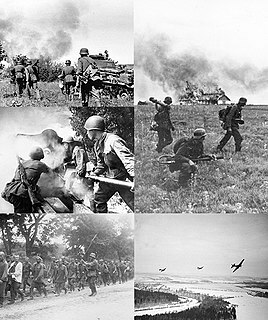 "Embargoes and Sanctions - World War II". Encyclopedia of American Foreign Policy. Retrieved 22 December 2018. ↑ Rafferty, Kevin. (1990). City on the rocks: Hong Kong's uncertain future. Viking publishing. ISBN 0-670-80205-0, ISBN 978-0-670-80205-0. 1 2 3 4 5 6 7 Tsang, Steve. (2007). A Modern History of Hong Kong. I.B.Tauris publishing. ISBN 1-84511-419-1, ISBN 978-1-84511-419-0. p 122, 129. ↑ "Hong Kong's 'Black Christmas'". China Daily. 8 December 2008. Retrieved 19 December 2013. 1 2 Bard, Solomon Bard. (2009). Light and Shade: Sketches from an Uncommon Life. Hong Kong University Press. ISBN 962-209-949-1, ISBN 978-962-209-949-4. p 101, 103. ↑ Roland, Charles G.  (2001). Long night's journey into day: prisoners of war in Hong Kong and Imperial Japan, 1941–1945. Wilfrid Laurier Univ. Press. ISBN 0-88920-362-8, ISBN 978-0-88920-362-4. p 40, 49. 1 2 3 Lim, Patricia. (2002). Discovering Hong Hong's Cultural Heritage. Central, Hong Kong: Oxford University Press. ISBN Volume One 0-19-592723-0. p 73. 1 2 3 4 5 Dillon, Mike. (2008). Contemporary China: An Introduction. ISBN 0-415-34319-4, ISBN 978-0-415-34319-0. p 184. 1 2 3 4 5 Carroll, John Mark. (2007). A concise history of Hong Kong. ISBN 0-7425-3422-7, ISBN 978-0-7425-3422-3. p 123-125, p 129. ↑ "Information note IN26/02-03: The Legislative Council Building" (PDF). Legislative Council of the Hong Kong Special Administrative Region. Retrieved 2 April 2015. 1 2 Tse, Helen. (2008). Sweet Mandarin: The Courageous True Story of Three Generations of Chinese Women and Their Journey from East to West. Macmillan publishing. ISBN 0-312-37936-6, ISBN 978-0-312-37936-0. p 90. 1 2 Emerson, Geoffrey Charles. (2009). Hong Kong Internment, 1942–1945: Life in the Japanese Civilian Camp at Stanley Royal Asiatic Society Hong Kong studies series. HKU Press. ISBN 962-209-880-0, ISBN 978-962-209-880-0. p 83. 1 2 3 Endacott, G. B. Birch, Alan. (1978). Hong Kong eclipse. Oxford University Press. ISBN 0-19-580374-4, ISBN 978-0-19-580374-7. ↑ Keith Bradsher (18 April 2005). "Thousands March in Anti-Japan Protest in Hong Kong". NY Times. Archived from the original on 2006-02-14. Retrieved 11 April 2006. ↑ Starling, Arthur E. Hong Kong Museum of Medical Sciences Society (2006). Plague, SARS and the story of medicine in Hong Kong. Hong Kong University Press, 2006. ISBN 962-209-805-3, ISBN 978-962-209-805-3. p 112, 302. ↑ Faure, David Faure. (1997). Society, a Documentary history of Hong Kong. Hong Kong University Press. ISBN 962-209-393-0, ISBN 978-962-209-393-5. p. 209. 1 2 Sweeting, Anthony. (2004). Education in Hong Kong, 1941 to 2001: Visions and Revisions. Hong Kong University Press publishing. ISBN 962-209-675-1, ISBN 978-962-209-675-2. pp. 88, 134. ↑ Endacott, G. B.; John M. Carroll (2005) . A biographical sketch-book of early Hong Kong. Hong Kong University Press. p. xxv. ISBN 978-962-209-742-1. ↑ Dew, Gwen. (2007). Prisoner of the Japs. Read books publishing. ISBN 1-4067-4681-9, ISBN 978-1-4067-4681-5. p 217. ↑ Gubler, Fritz. Glynn, Raewyn. (2008). Great, grand & famous hotels. Great, grand famous hotel publishing. ISBN 0-9804667-0-9, ISBN 978-0-9804667-0-6. p 285-286. 1 2 Fu, Poshek Fu. (2003). Between Shanghai and Hong Kong: the politics of Chinese cinemas. Stanford University Press. ISBN 0-8047-4518-8, ISBN 978-0-8047-4518-5. p 88. ↑ Wordie, Jason (February 12, 2013). ""Then and now: ivory tower"". South China Morning Post. Retrieved June 22, 2017. ↑ unknown. ""Declared Monuments in Hong Kong: Government House"". Antiquities and Monuments Office, Leisure and Cultural Services Department, Government of the Hong Kong Special Administrative Region. Retrieved June 22, 2017. 1 2 3 Lee, Meiqi. (2004). Being Eurasian: memories across racial divides. Hong Kong University Press. ISBN 962-209-671-9, ISBN 978-962-209-671-4. p 265. ↑ "Hong Kong Filmography Volume II (1942-1949) - Preface". Hong Kong Film Archive. 2014. Retrieved 19 April 2017. 1 2 半塊肩章繫隔世父子情. Apple Daily (in Chinese). 4 April 2013. Retrieved 14 January 2016. 1 2 "Launching of Hong Kong's War Crimes Trials website". The University of Hong Kong. 25 December 2010. Retrieved 20 May 2013. ↑ 港大推日戰犯資料庫. Ming Pao (in Chinese). Hong Kong: mingpao.com. 13 September 2010. Archived from the original (TXT) on 13 December 2013. Retrieved 20 May 2013. ↑  (2000). American Association for Chinese Studies publishing. American journal of Chinese studies, Volumes 8–9. p 141. 1 2 Hayes, James (2006). The great difference: Hong Kong's New Territories and its people, 1898–2004. Hong Kong University Press. ISBN 9789622097940. ↑ Chi Man, Kwong; Yiu Lun, Tsoi (2014). Eastern Fortress: A Military History of Hong Kong, 1840–1970. Hong Kong: Hong Kong University Press. p. 227. ISBN 9789888208715. ↑ Bailey, Steven K. (2017). "The Bombing of Bungalow C: Friendly Fire at the Stanley Civilian Internment Camp". Journal of the Royal Asiatic Society Hong Kong Branch. 57: 112. ↑ Liu, Yujing (1 February 2018). "Why does Hong Kong have so many buried wartime bombs?" . Retrieved 1 January 2019. 1 2 Roehrs, Mark D. Renzi, William A. (2004). World War II in the Pacific Edition 2. M.E. Sharpe publishing. ISBN 0-7656-0836-7, ISBN 978-0-7656-0836-9.p 246. ↑ Nolan, Cathal J. (2002). The Greenwood Encyclopedia of International Relations: S-Z. Greenwood Publishing Group. ISBN 0-313-30743-1, ISBN 978-0-313-30743-0. p 1876. ↑ 正義的審判－－中國審判侵華日軍戰犯紀實 (in Chinese). Xinhuanet.com. Retrieved 22 August 2009. ↑ Zhao, Li. Cohen, Warren I. (1997). Hong Kong under Chinese rule: the economic and political implications of reversion. Cambridge University Press. ISBN 0-521-62761-3, ISBN 978-0-521-62761-0. ↑ Roland, Charles G. (2001). 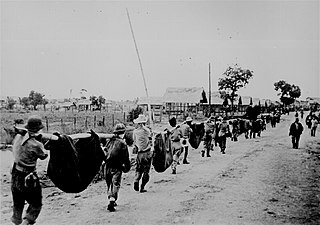 Long Night's Journey into Day: Prisoners of War in Hong Kong and Japan, 1941–1945. Wilfrid Laurier University Press. pp. xxviii, 1, 321. ISBN 0889203628. 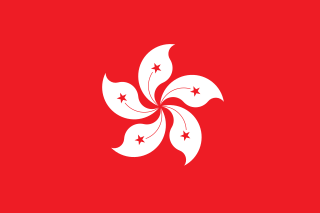 Wikimedia Commons has media related to Japanese occupation of Hong Kong .